Another Day of Healing – the tenth of its kind— will be held in the Taylor Alley area of the city from 9:00 a.m. to 7:00 p.m. on Saturday, March 29. There will be games, entertainment by local artists and entertainers, and a candlelight vigil in memory of those who have lost their lives due to the senseless gun violence. Entertainers at the event will include Bobo Youth, Blackberry, Positive Vibes, Barbie and, depending on their availability, TR Shyne, Nello Player and Dylan Diamond. 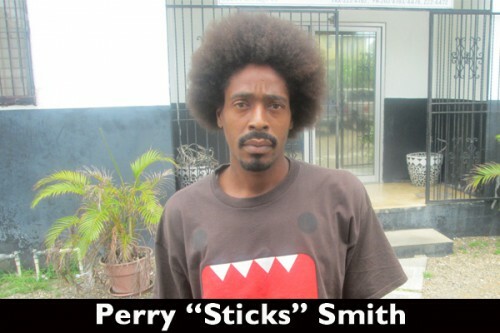 Social activist Perry “Stickz” Smith, the organizer and director of the Day of Healing, said that the aim of the event is to bring people of the community together to work for the betterment of their community. Smith said that for the continued healing of the city, hatchets should be buried, and warring factions should learn how to respect and love one another by coming to together to work for the improvement of their community. There will be a 5-a-side football game, a running race, sack race, and a lime and spoon race, among many other games. Medals will be presented to winners of the events when they return to the area after the candlelight vigil, which will start in front of Taylor Alley and conclude in front of Pregnant Alley in front of the Salvation Army building. Smith emphasized that food and refreshments will be provided free of cost, but there will be no alcoholic beverages, because it is a family fun day. Smith calls on community members who have experienced a Day of Healing to come out and show solidarity and their support for this event, and they are urged to wear their Community Day of Healing shirts. Donations are being requested to ensure the success of the event. Monetary contributions are requested for the purchase of food supplies, trophies and t-shirts, and to pay for fuel for transportation. Those who wish to contribute can also cook food at their homes and bring to Taylor Alley for distribution to those who attend the event. Also, volunteers are needed to assist in the supervision of the competitions and for other tasks. Those wishing to volunteer or make donations can contact Smith at telephone number 601-2342. Members of the public are urged to come out with their families for a day of fun and entertainment, and together heal the community of Taylor Alley and the city. Smith acknowledges the invaluable efforts of Dorla Vaughn and Timmy Stamp of Dean Street and Pinelo Caceres and Liza Garoy from Taylor Alley, among others, in organizing the event..